Why Choose American Home Services? Having been in the Home Inspection Business since 2001, I’ve seen many fly-by-night Home inspectors come and go. I feel sorry for the home buyers that are victimized by these unscrupulous operators. I’m so confident in our inspections, that I’m willing to put my money where my mouth is. So, at American Home Services, we offer a simple, no weasel words Guarantee. Attend your home inspection and if for any reason you’re not satisfied with the “Quality” of the home inspection service, tell the inspector before receiving your report and we’ll either make it right, or you don’t pay the home inspection fee! It’s easy – We’re More Thorough. We take our time. We’re not trying to rush through your inspection to get to the next one. That often means we find defects the other guys don’t. And that can mean the seller, not you, will pay for the repairs. And because we’re more thorough, our fees tend to be a bit higher. So you can pay a higher fee and get a more thorough inspection, or you can save some money by hiring the cheap inspector, and maybe spend thousands more to fix the things the cheap inspector missed. “We feel so strongly that you’ll be satisfied with our inspection service and our inspection report.” This inspection is an important step in your life and we understand that we want to make sure you have an enjoyable inspection experience. This Guarantee is one more way to demonstrate to you our desire and commitment to meet and exceed your expectations. Please know that our Saturday schedule is limited and on a first-come, first-served basis. 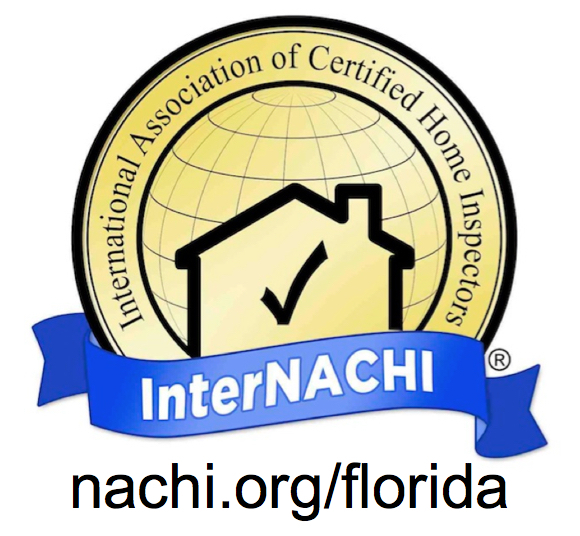 So please call now (407) 362-5409 to let our schedulers know as soon as possible if you need a Saturday inspection. We’ll do our best to accommodate you! American Home Services has been providing Home Inspection Services, Residential Inspection, Certified Move In Ready Homes, Pre-Owned Inspection, New Construction Inspection, 4 Point Insurance Inspection, Chinese Drywall Inspection, Pest Control, Termite Inspection, Thermal Inspection, Mold Inspection and Wind Mitigation Inspection in the following areas of Lake County, Marion County, Orange County, Osceola County, Polk County, Seminole County, Sumter County, and Volusia County and surrounding area. 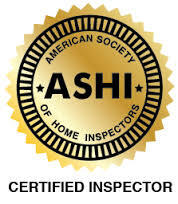 One of the ways to judge the quality and professionalism of the work done by a home inspector is to take a look at their inspection report, so we’ve included one here for your review. By using this online scheduler, you are truly scheduling an appointment with the information you are entering. When you select “Schedule This Inspection” at the end of the process, you will be confirming your inspection. If you need to schedule an inspection for the same day or next morning, please call our office at (407) 362-5409 and speak with one of our Customer Care Coordinators. American Home Services has been providing Residential Inspection, Pre-Listing Inspections aka Certified Pre-Owned Inspection (Buyer’s Choice Program), New Construction and Phase Inspections, Builders 1-Year Warranty Inspections, Commercial Inspection as well as 4 Point Insurance Inspection, Chinese Drywall Inspection, and complete Pest Control Services to home buyers and home sellers in the following areas of Lake County, Marion County, Orange County, Osceola County, Polk County, Seminole County, Sumter County, and Volusia County, serving Orlando Florida since 1997. I wanted to let you know how much I appreciate your recommendation to have Tom Kleinschnitz check out our prospective home. In my opinion, Tom conducted himself in a thoroughly professional matter, something we don’t see enough of these days. I arrived on time for the inspection and Tom was already there and working. He surprised me with the depth of his knowledge about the various aspects of my house’s design and construction. For example, he located and corrected a very dangerous electrical wiring problem on the outside of the house. He knew of the history of the materials used in the neighborhood and was able to logically interpret how the house came to be in its current condition. He provided far more detail about each issue than I ever expected, including his assessment of the severity and cost of correcting each problem. In short, he left me feeling very confident about purchasing this house. I will gladly call on Tom for my future inspection needs and would recommend him without reservation to my friends and neighbors. Thanks again. I use AHS because they are reliable and are able to schedule around my clients’ needs. We are able to schedule inspections directly through their website, they are always on time, they communicate with me throughout the entire inspection process and most importantly they do a great job! I would use AHS if I were buying my own home and recommend them to all of my clients.